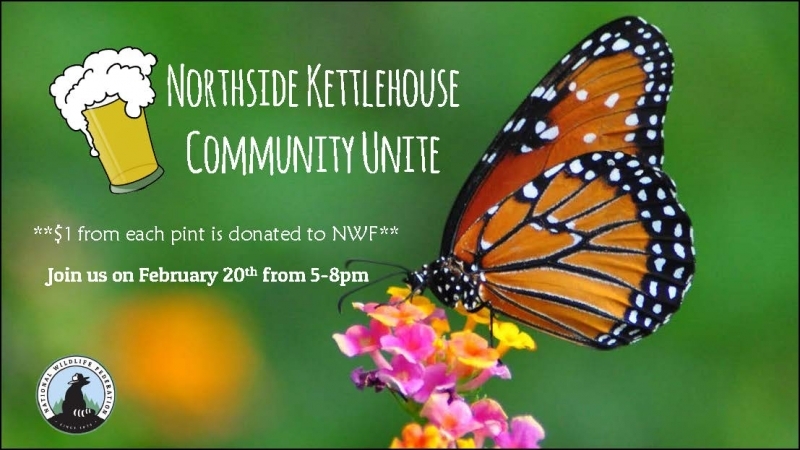 Support the National Wildlife Federation and Garden for Wildlife by coming to the KettleHouse Brewing Co. - Northside Taproom for a Community UNite! This is a family friendly venue where $1 from every drink, beer or otherwise, sold will educate Montanans about how to help birds, bees, and other wildlife. We'll have information about wildlife gardening, our upcoming rain barrel workshop, and fun raffle items!